Designed by Carla Mezher, Lebanon. 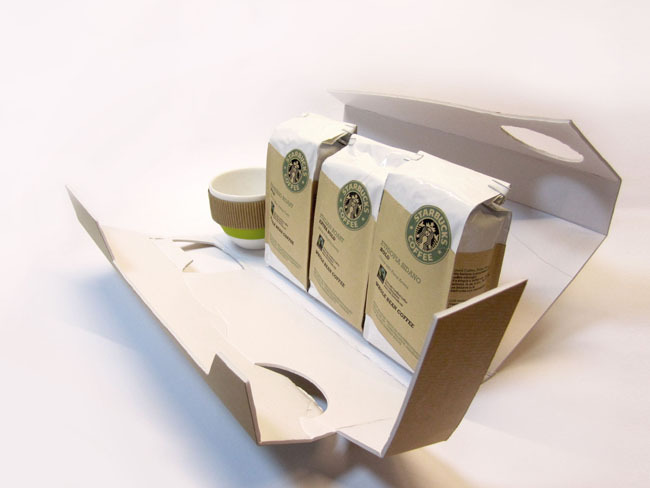 The Brief asks for the design of a special edition package for Starbucks. 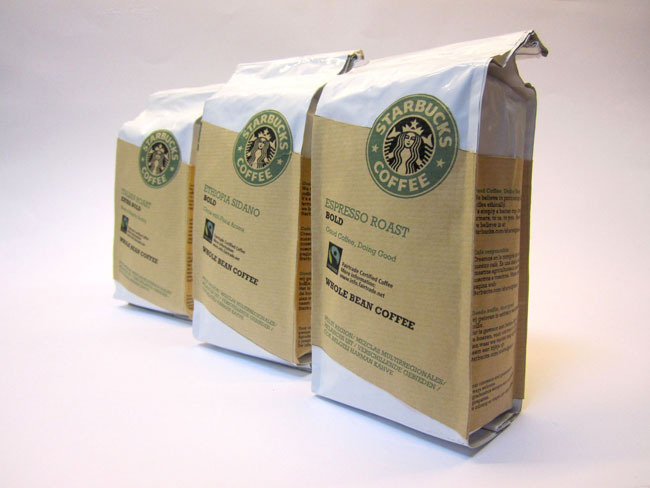 With the purchase of 3 coffee bags, a free mug is given. 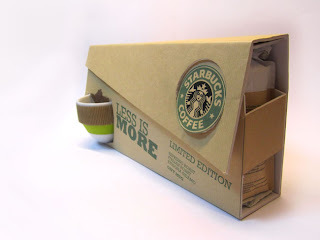 The package must be eco friendly and sustainable. The adopted package can be wrapped into shape without the use of industrial machines, this would decrease shipping charges (Less used space). a really nice and clean pacakge design. love it! Very interesting and unique work, thanks for posting! I like the idea. I feel that the consumer is always more driven by value and I can see value in this! It's a very god idea, new and very original, i like it and this mark is very famous and great. Very nature friendly. 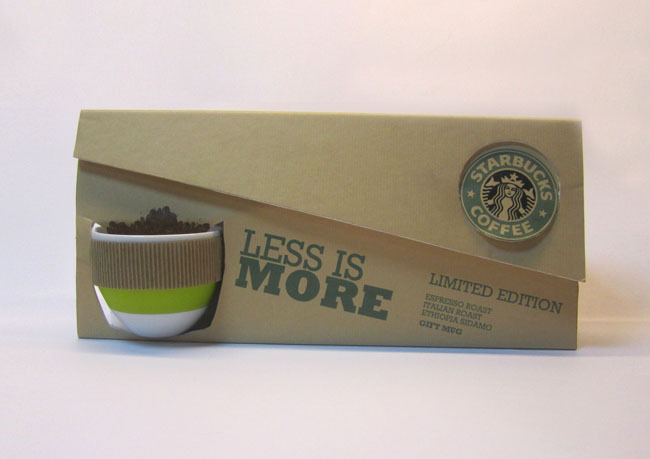 I hope that all packaging materials in making products are made from papers or cartons.